Well hello there! It's been awhile! Just over a year to be exact and I'm excited to be back! I've been throwing around the idea of jumping back into blogging, but wasn't sure when I'd pull the trigger. Carrie texted me over the weekend with the The Blended Blog Asks prompts. I gave it some thought, and said, why not! So here we go! Terracotta is the color I start wearing as soon as the weather cools. The warm and comfy mix of brown, red and orange is one of my favorite fall colors. I drink hot tea year round but once the weather cools off you'll find me in the Starbucks drive thru ordering a Carmel Apple Spice. 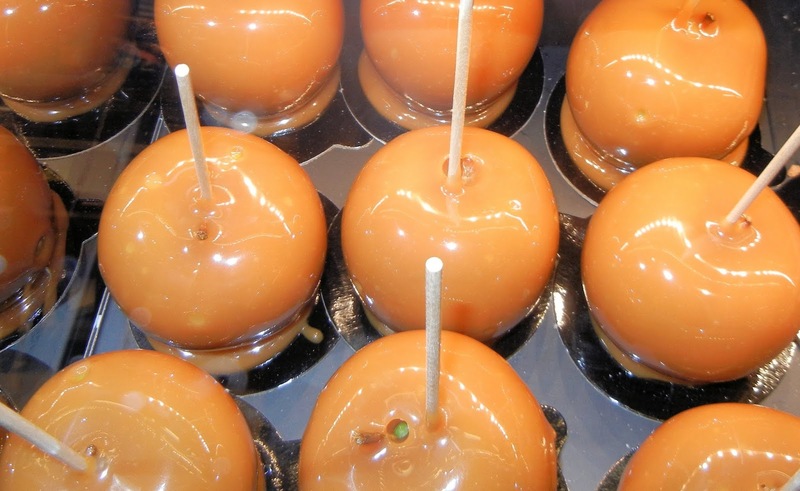 Carmel Apple: Yes or No? 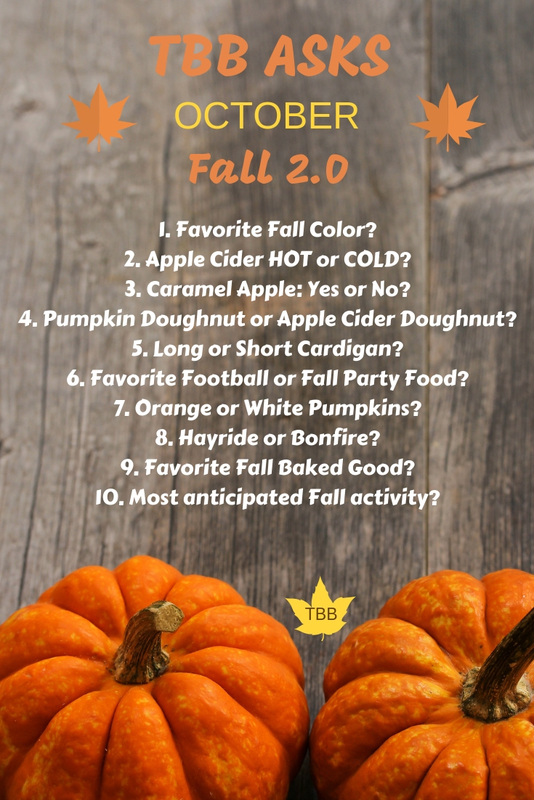 A definite Yes to this fall sweet treat! 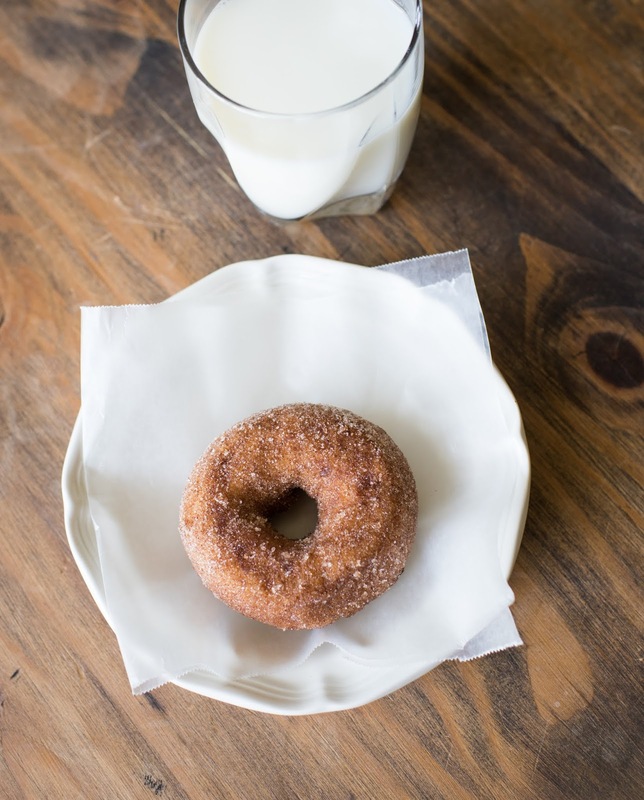 Apple cider doughnuts are so delicious but it's hard to stop at one. In the past, my answer would have been short but I seem to have gravitated towards long cardi's over the past few years and can't get enough of them! 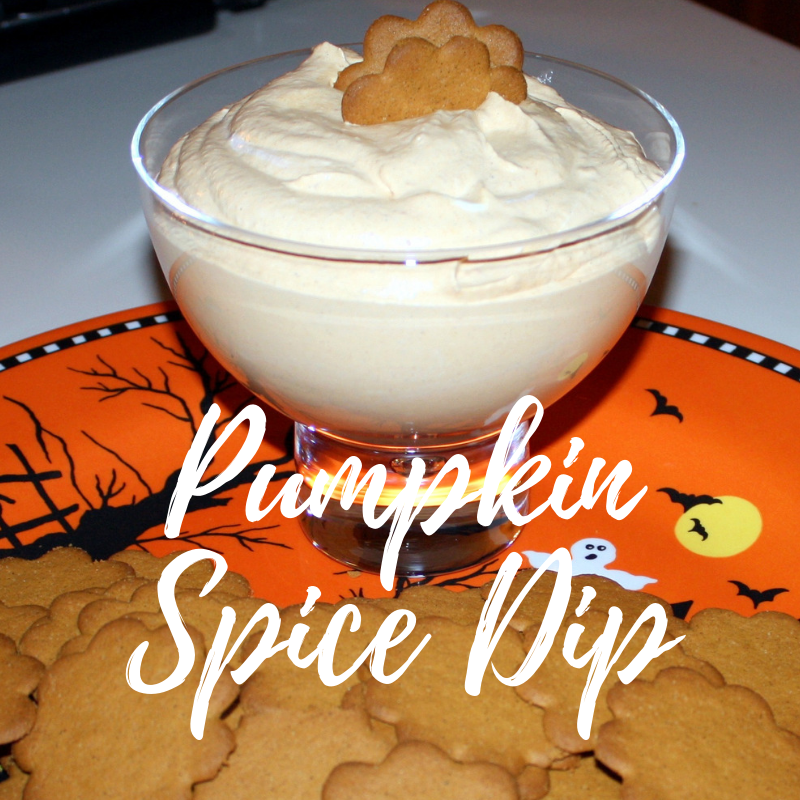 This recipe for pumpkin spice dip is my go-to to bring to fall parties. White pumpkins brighten up the fall palette of oranges and yellows and add a rustic vibe. This one was a toss up. Our previous neighborhood has an annual Fright Fest with a haunted hayride that I really miss. But I'm going to go with bonfire. 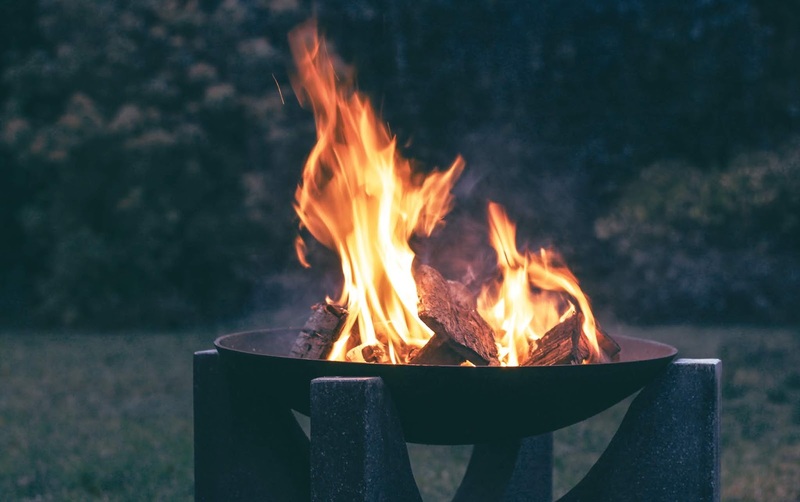 Sitting outside just makes me happy and bonfires are a fun fall tradition! 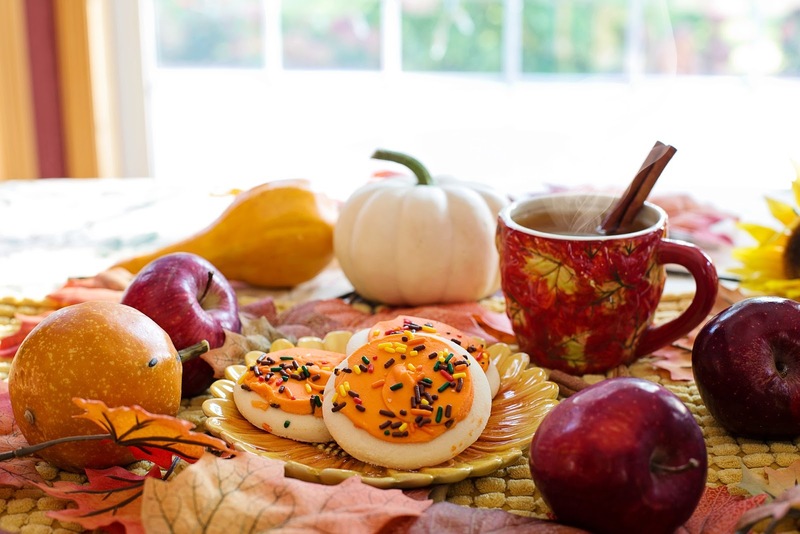 Cookies are my favorite baked good year round. 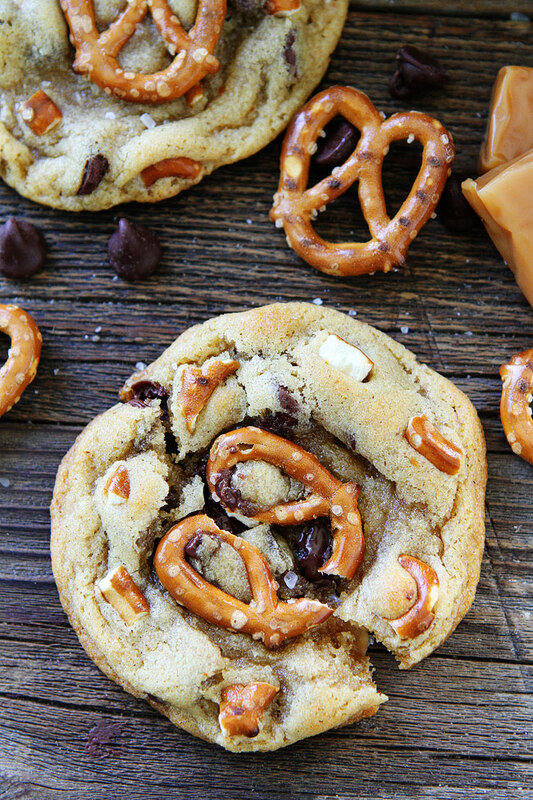 I recently came across this recipe for Salted Caramel Pretzel Chocolate Chip Cookies that I can't wait to try. Yum! 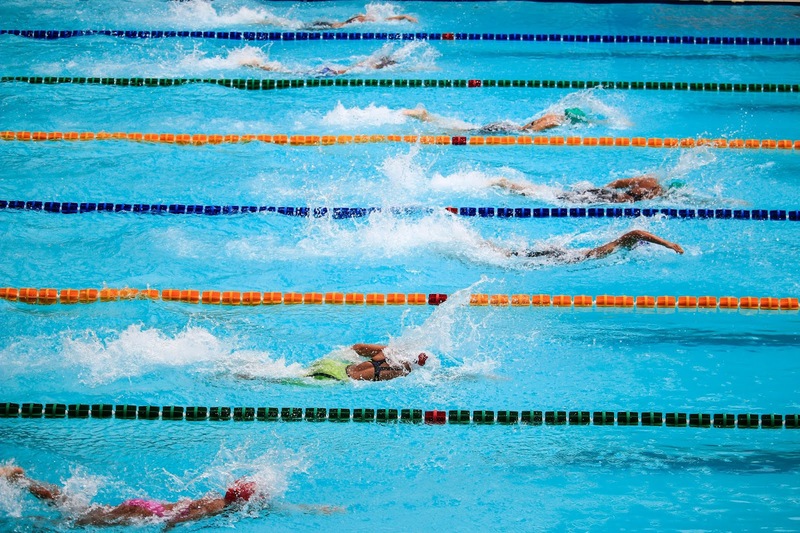 Girls High School Swim Senior Night. This technically doesn't have anything to do with fall but it is a fall sport and this bittersweet night falls in October. Thank you for reading! I'll be back tomorrow with an update on what I've been up to the past year!